Lucky or Good? Early or Wrong? Investment professionals are often reluctant to acknowledge the role that luck plays in investment outcomes. While we would love to tell you we operate with perfect information and make all correct assumptions, the reality is that outcomes are often dependent on factors outside of our control. Investing aside, our behavioral tendency is to exhaust every other option before admitting we are wrong. Most clients who have worked with our firm for any length of time know that we like to buy companies that are “under the radar” or out of favor. Often, investors under-appreciate these companies because they haven’t lived up to expectations, and their share prices have suffered accordingly. Opportunity arises for value investors when expectations for a company are lower than they should be, and we are rewarded as owners if other investors come to the same conclusion and bid up the share price. When investing, there is always a chance you are right but early. Howard Marks, a famous investor, once said that being early can be “indistinguishable from being wrong.” For example, an early investor in Amazon would have seen 80% of his capital disappear from late 1999 to 2002. This investor was still losing money in 2009, as Jeff Bezos was amidst architecting the most dominant consumer company in modern history. Most know what has happened to this company since the Great Recession ended. Any investor who held the stock through these periods was either lucky or prescient, or both. Investing is a probability-based exercise. Whatever you do when you risk your capital, you want your odds of success to be better than the flip of a coin. What we have found, however, is that they don’t have to be a helluva lot better than a coin flip. Legendary investor, Peter Lynch, once said, “If you’re good, you’re right six times out of 10. 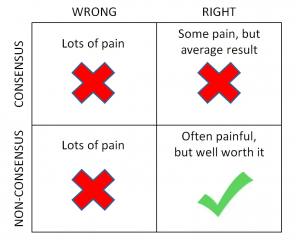 You’re never going to be right nine times out of 10.” The key, we believe, to long term wealth accumulation is to minimize the damage in the four instances when we’re wrong. Our observation over 35 years of investing is that we are not always in control of outcomes. In fact, we rarely are. The best use of our time is to continue to refine our research process and to concentrate on our behavior. An investment process should increasingly lead you to positive outcomes. Sometimes luck plays a role. In short, we attempt to get in front of good fortune—instead of disasters—waiting to happen. The more consistently we apply our process, the higher our probability of success. When it’s possible luck played a role, we’re humble enough to acknowledge it. When we experience a negative outcome, we go back to the drawing board to determine what part of our process may need refinement. It’s important to have a philosophy that guides your approach in a predicable way over the years and to stay committed to it. Often when things don’t seem to be going well, investors are tempted to abandon their approach and go with what is working at the moment. Successful investors stick to their philosophy and do not abandon it when things get tough. Your level of conviction in your philosophy as an investor will determine how much discipline you apply and how long you apply it. Don’t change horses mid-stream. If you give up on your approach, you may permanently impair your results. So, lucky or good? Early or wrong? In the heat of the investment battle, it’s difficult to tell why some investments in your portfolio are working better than you expected while others can’t seem to get out of their own way. Looking back, you can always tell whether you were early or wrong. If you are successful and honest, you can also answer the first question. Fears over rising interest rates have created investment opportunities for income investors. The one-two punch of rising inflation fears and higher interest rates pressured income-oriented investments in the first quarter, with the aggregate bond market falling more than the S&P 500 (-1.5% compared to -0.8%). Asset classes with high dividend yields like utilities (-3.3%), real estate investment trusts (REITs) (-5.0%), and MLPs (-11.1%) fared even worse, and many investments that have seemed relatively stable over the past few years suddenly seemed less so. In periods of volatility like we have experienced so far in 2018, it helps to take a step back and put things in perspective. In the daily maelstrom of news headlines and television chatter, sometimes the bigger picture of investing can get lost by media voices vying for our immediate attention. We believe that investing for income is an important part of most investors’ asset allocation—not only to provide regular cash flow that can be withdrawn or reinvested, but also to provide diversification benefits. These benefits do not go away in a rising interest rate environment, but they do require a more thoughtful and disciplined approach. At the heart of our approach is the belief that securities should be purchased when they offer a “margin of safety.” Traditionally, a margin of safety includes owning securities that are cheaper than average and offer some degree of downside protection because they are trading below their fair value. At Punch, we also look for what we call a “behavioral margin of safety,” which means that a security is likely cheap because it is out-of-favor, under-the-radar, or misunderstood. In today’s market environment where fears about rising rates and inflation seem to have gotten ahead of themselves, we believe that panicky selling by other investors has created some interesting investment opportunities. In the first quarter, we added two new closed-end funds and one REIT to the portfolio. We think all three are emblematic of our investment approach: unique assets trading at what we believe to be discounted valuations because they are under-the-radar or out-of-favor. The two closed-end funds had already fallen 10-25% from their 52-week highs and were trading at 9-11% discounts to their net asset value (NAV) in the first quarter. One fund owns utility stocks, while the other owns preferred shares. They both offer dividend yields of over 7%, and the utility fund has increased its dividend twice over the past year. The REIT is a unique investment because it is one of only two publicly-traded REITs that invests in farmland real estate, with a focus on specialty crops like berries, vegetables, and nuts. Despite having over $400 million in total assets, the company does not receive much attention from Wall Street analysts and trades at a 12% discount to its net NAV. We like the company’s 4.4% monthly dividend, and farmland tends to be a stable inflation hedge over time. Should inflation pick up, farmland has historically held its value better than other types of real estate. While periods of market volatility can be unsettling, we believe they can also provide opportunities for long-term investors who are able to take advantage of more short-sighted trading that sometimes creates discounted prices and value. After declines in the first quarter, many income-oriented securities are becoming interesting values to us, as we continue to seek out a behavioral margin of safety. Often, the best opportunities are in your own backyard. Despite all the volatility in the first quarter of the year, the S&P 500 Index finished the quarter down just 0.77%. A lot of that volatility was driven by technology companies located on the east and west coasts. In fact, the “FANG” stocks have seen a significant increase in their volatility in recent months, and they’re all on the West Coast. While we look all over the country for quality companies at a great price, we often look right in our own backyard to find compelling ideas. Wall Street generally thinks of Minnesota as “flyover country,” and we like it that way. We know that Minnesota is home to some wonderful public companies, both large and small. Seventeen public companies in the Fortune 500 call Minnesota home. The Bloomberg Star Tribune 100 Index (BSTAR Index) has tracked the performance of the 77 largest public companies in the state going back to 1998. Since the inception of the BSTAR index, it has had an annualized return of 8.67%, which compares to a return of 6.03% for the S&P 500 Index over the same time period. Is there something in the water? Some attribute the outperformance to our Scandinavian work ethic and others to that fact that our cold winters leave us with little else to do other than work hard. While no one knows for sure, there are many reasons to be a proud Minnesotan. Ten percent of the companies owned in the Punch Large Cap Strategy are Minnesota-based companies. We own a food products company, a big box retailer, and a financial services company. By design, the large cap strategy has low turnover and is long-term oriented, and we look for companies that we believe will compound your money consistently over time. We have held three Minnesota-based companies in the large cap strategy for more than 10 years on average. At Punch, we’re not alone in thinking there is an advantage to being off Wall Street. In an interview with the Associated Press in August of 2012, Warren Buffett discussed the advantages of working from Omaha. Buffett said, “In some places, it’s easy to lose perspective, but I think it’s very easy to keep perspective in a place like Omaha. It’s very easy to think clearly here. You’re undisturbed by irrelevant factors and the noise, generally….” We feel the same way about being investors in Minnesota. Operating from here helps us stay grounded and focused on what matters most. Investing in spin-off stocks has historically been attractive because of limited information and investor attention. The term “spin-off stock” may not be on the tip of every investor’s tongue, but this category of stocks represents a niche of the small-cap market to which we pay close attention because of the occasional opportunities it presents to investors. The Punch Small Cap Strategy today holds four companies that were spin-offs themselves and three more that have spun off other companies. So, what exactly is a spin-off stock? Many public companies, especially larger ones, often have multiple businesses inside of one company. A large cap company like Honeywell or MetLife may have multiple products or services which the company sells to a variety of end-markets, some of which may be international. From time to time, these large, complex conglomerates make the decision to jettison, or “spin off,” one of its businesses into a new, smaller independent public company. The transaction is typically tax-free, and shareholders receive shares in the new company simply because they owned shares in the larger parent company. 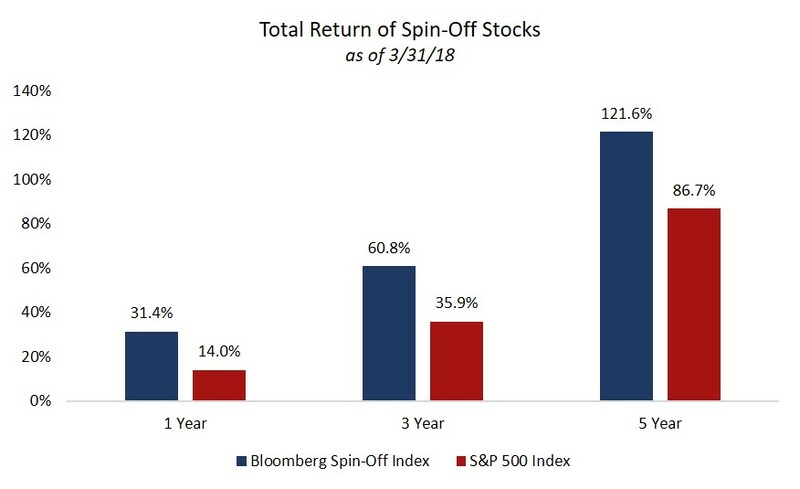 The opportunity in spin-off stocks exists largely because: (1) the newly independent spun-off company is usually not well-understood by the investment community; and, (2) many shareholders who received new shares in a company they did not purchase (and are likely unfamiliar with) tend to sell them, creating downward pressure on the stock price. Investors who are willing to roll up their sleeves and do their homework on spin-off companies usually can get ahead of the crowd on understanding these businesses before the broader investment community is even aware of them. What’s more, investors can possibly take advantage of the indiscriminate selling pressure described above that sometimes happens following a spin-off event and purchase shares from uninformed sellers. We monitor all spin-offs in the U.S. simply because of their historical track record. And while not all spin-off situations involve conditions that make them attractive to us, occasionally some do. We are most interested in spin-offs that fit our general criteria as contrarian, value-oriented investors who favor consistency, predictability, and profitability. Market data provider Bloomberg, L.P. maintains an index of spin-off securities in the U.S. and publishes its performance daily. As the nearby chart shows, this category of stocks has handily beaten the broader market over the last 1-, 3-, and 5-year periods. We think there is strong evidence that, on average, this category of stocks is worth our attention, even though not every situation may be fertile ground for new investment ideas. Financial and estate planning is different for those of us who own a business. At a very basic level, you have a substantial asset that is hard to turn into cash. The success of your business may depend greatly on you showing up to work each day. You may have spent a significant portion of your life creating and nurturing your company and therefore find it challenging to retire. Your business may involve your family and, as a result, present unique management, relationship, and ownership challenges. So, what should you do as you approach a big decision that involves more than just your business? You might want to retire without disrupting the company’s chances for success. You might be thinking about selling the company or transitioning it to the next generation of owners. It’s possible that the next generation involves family members and some relational complexity. It’s likely that you were not thinking about these issues the day you created your business plan and filed your articles of incorporation. When was the last time you reviewed your company’s bylaws, operating agreement, or buy-sell agreement? Are corporate documents in order and up to date? Do you know what they say, and do they reflect your wishes? When we engage in financial and estate planning with a business owner, we focus on whether the corporate governing documents contain any restrictions on ownership, whether those restrictions play nicely with the owner’s estate plan (Can the owner hold his or her business interest in their revocable trust? Can he or she transfer it to a trust for a surviving spouse or children? ), and whether there are appropriate and realistic valuation provisions for the business interest in the event of ownership transfer. For estate and tax planning, you should understand the terms of your current estate plan, whether it works well with your company’s governing documents, and whether there are any loose ends or unaddressed opportunities. This is an ongoing process for most people because your balance sheet, family relationships, and the relevant tax and trust laws change over time. Our conversations with business owners also typically involve a detailed cash flow discussion to determine how to replace income after retirement and analyze whether assets will be adequate to meet spending goals. If you plan to sell your business, you should involve your advisors as early as possible. Doing so will help you consider options for minimizing the tax impact of the sale, which may include charitable strategies. If you plan to transfer your business to family members, you may want to meet with a professional who can help frame your perspective on business succession. Sara Stern is the owner of Family Business Minnesota, a firm specializing in business succession coaching. 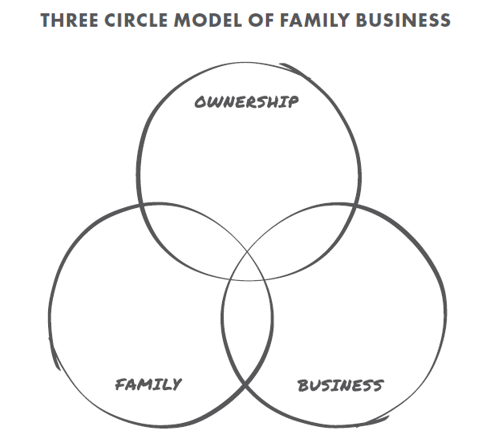 Sara uses the three-circle model of family business to help owners understand the relationship between the three distinct but related areas of family, ownership, and business. Sara asks business owners to define the purpose of the business. “Each generation needs to have enthusiasm about why the business exists. Is it to build wealth for your family, employ as many people as possible, or improve your community? The next generation of leadership must buy into the vision for the company.” Conversations like the ones Sara leads for family business owners are a critical part of creating a culture of positive communication and proactively addressing issues. The Punch Wealth Strategies Group helps business owners plan for and navigate times of transition. We understand the financial, estate, and tax planning challenges and opportunities that arise for business owners, and we help connect you with a team of professionals to address these often-overlooked areas. We believe it’s essential to understand the issues and possible solutions so that you can proactively implement a plan with intention and good communication. The material shown is for informational purposes only. Past performance is not indicative of future performance, and all investments are subject to the risk of loss. Forward-looking statements are subject to numerous assumptions, risks, and uncertainties, and actual results may differ materially from those anticipated in forward-looking statements. As a practical matter, no entity is able to accurately and consistently predict future market activities. While efforts are made to ensure information contained herein is accurate, Punch & Associates cannot guarantee the accuracy of all such information presented. Material contained in this publication should not be construed as accounting, legal, or tax advice.